Testing a new potting mix for my indoor garden. The Bio-char is being added for water retention and nutrient retention and to reduces soil acidity decreasing liming needs. If this works out, next fall I will be adding my city compost from the recycle center. Interested to see results, SQWIB. That seems like a lot of Biochar - about 22%? Is that charged Biochar or raw Biochar? 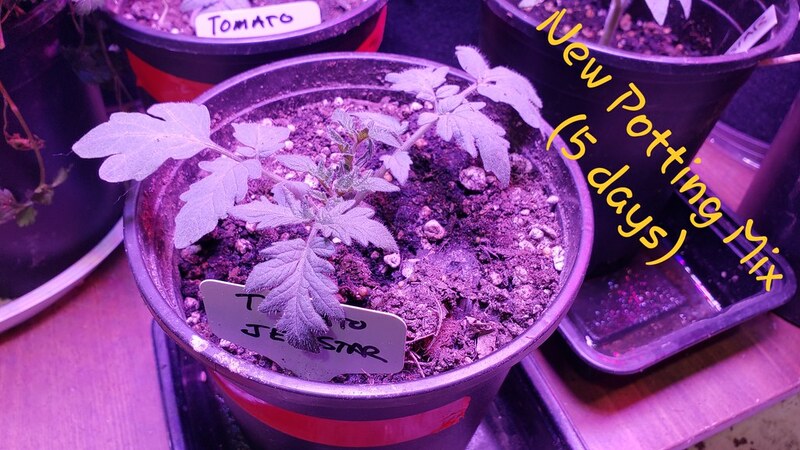 @OhioGardener wrote: Interested to see results, SQWIB. That seems like a lot of Biochar - about 22%? Is that charged Biochar or raw Biochar? Bio char percentage is subjective due to size, this was very coarse pea- marble size. SQWIB, what is your formula for the control mix? 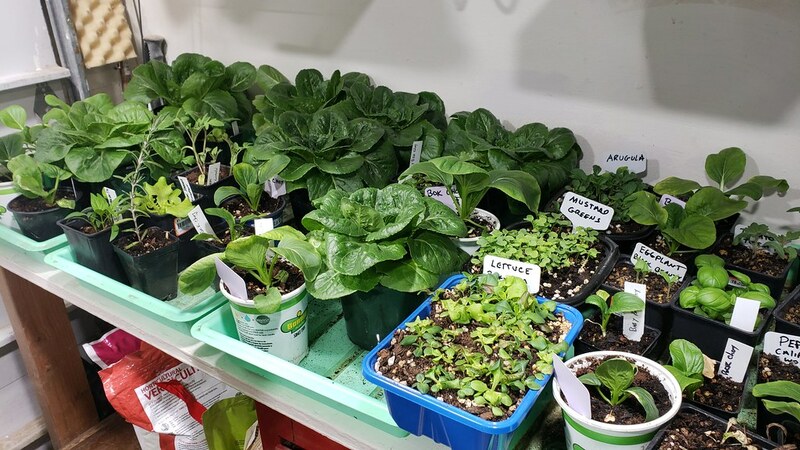 And is your indoor garden most greens? Pulverized eggshells also have a liming effect. @Dan in Ct wrote: SQWIB, what is your formula for the control mix? 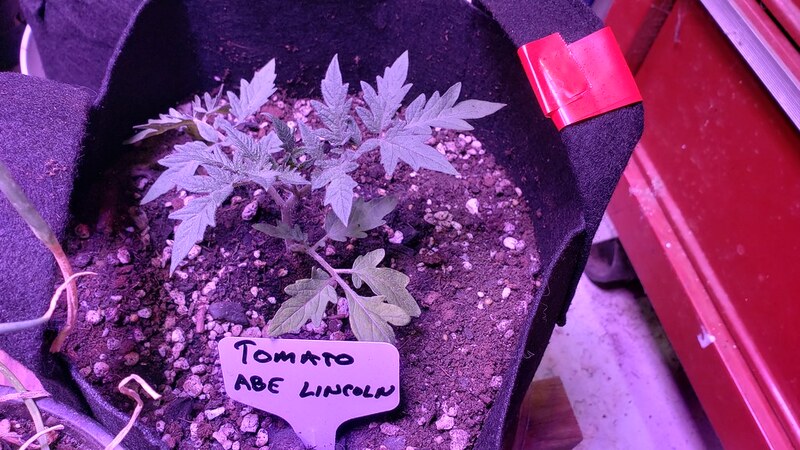 And is your indoor garden most greens? Pulverized eggshells also have a liming effect. 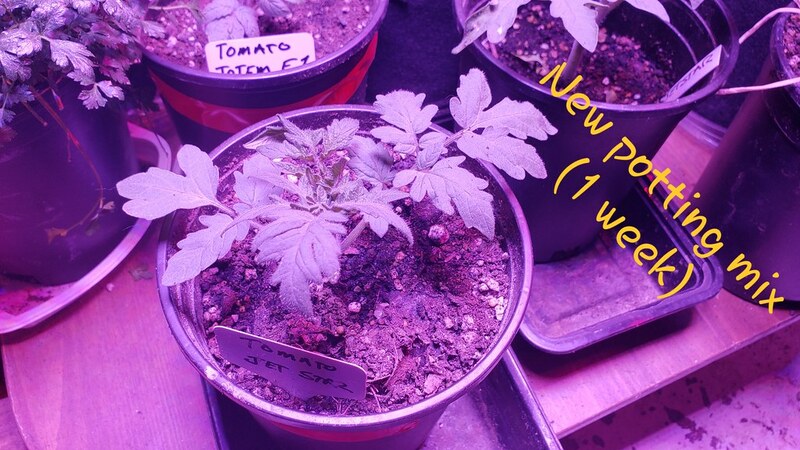 Let me clarify, I have a few extra plants that germinated and all of these "extras" will go into 1 gallon pots with the new mix, but to be fair, they won't receive the same lighting as my original planting of the "keepers". They will be placed on the outermost part of the Led lighting which means they will be receiving less light than the "keepers". 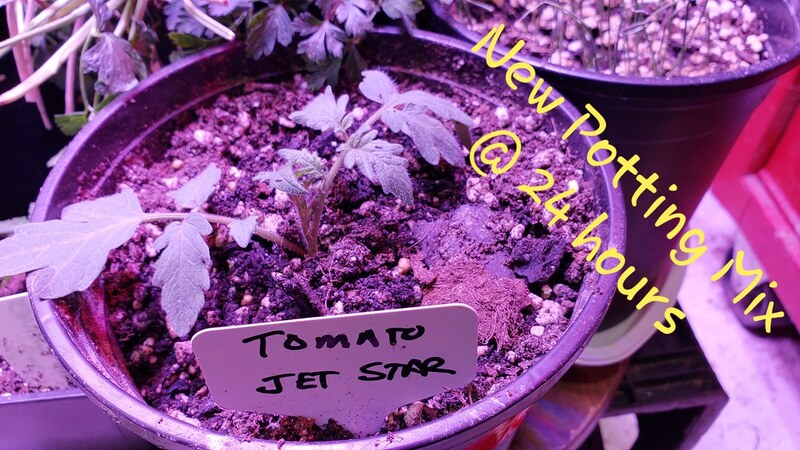 These extra plants are, Listada Di Gandia Eggplant, Black Beauty Eggplant, Totem F-1 Tomato, Abe Lincoln tomato, Jetstar Tomato and a Jimmy Nardello pepper and are all "expendable". 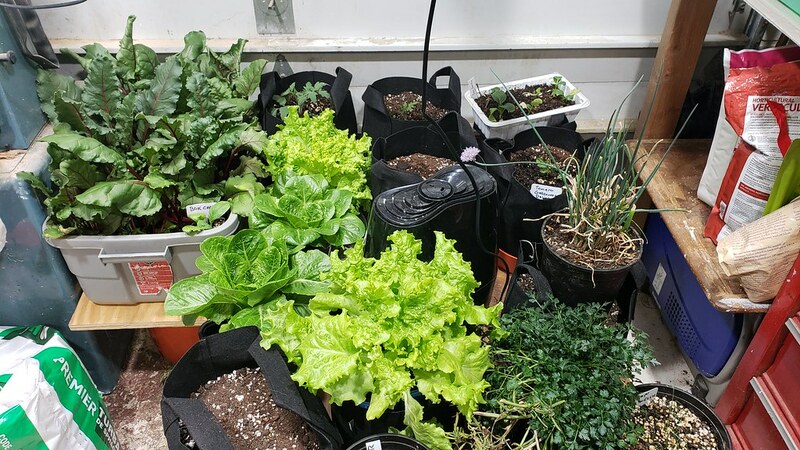 The "Keeper" plants are in 3 gallon and 2 gallon grow bags with the original mix mentioned below, the "keepers" will receive the required lighting, although I may have two grow-bags with the new mix but I will mark these with red tape. I'll pop up some pictures when I get a bit more organized. Oh, BTW the beets to the left are planted in some crazy mix I came up with but are not part of the trial. I'm sort of expecting the few plants I put in the new mix yesterday to be dead when I get home, we will see. My new potting mix hasn't killed anything yet. 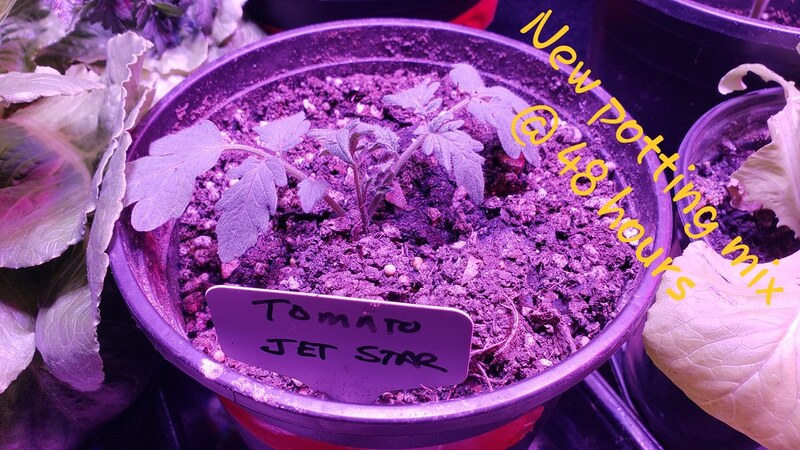 The new potting mix seems to be fine so far.